Not too long after I got the SNES for Christmas I made my choice for gaming. Back then, I knew no one that owned a SNES and a Genesis, so I knew there will be games I would want to play on the Genesis, but that would only happen if my friends or relatives got it. 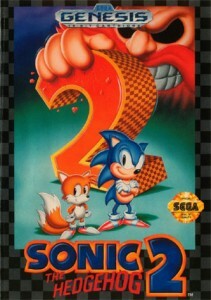 I had played Sonic the Hedgehog at a store’s kiosk, but Sonic the Hedgehog 2 is what stuck with me. While the SNES had Super Mario World as a pack in, Sega Genesis would bundle the sequel. When I played it at a friend’s house, the first thing that hooked me is the soundtrack. Hearing Emerald Hill Zone’s theme for first time almost made me regret getting the SNES. Please tell me I’m not the only one who notices that Mystic Cave Zone sounds like the Inspector Gadget theme. The levels were awesome and the second player can control Tails (which became a nice add). The bonus stages looked amazing with the level of detail that went into Sonic and Tails for those 3D levels. The multiplayer only had four levels, and the bonus stages, but they are still fun. Heck, when my cousin would bring his Genesis, Sonic the Hedgehog 2 is the game I played the most on the console. Playing this game helps me go back to a time when you played video games for fun, and that game became your weekend as you talked to friends about it at school. It’s nice to have a game where for a brief moment, I imagine playing this game at a friend’s house on a Saturday afternoon.